Is your water safe? We can help you find the answers with water testing in Frederick, MD. This type of potability testing is popular for personal information and also typically required for real estate transactions. 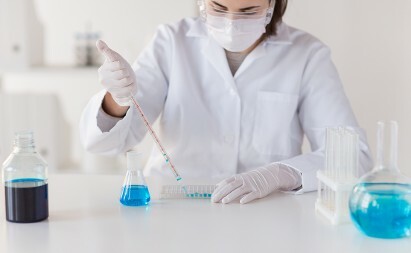 Testing must be done by a Certified Water Collector and tested by a State Certified Laboratory to ensure the validity of the samples and is offered in parts of Maryland and Virginia. 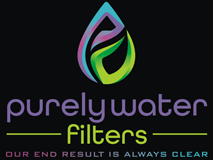 To make an appointment, please e-mail info@purelywaterfilters.com. This type of certified testing that is done by a certified water collector is usually limited to these two constituents, as they can theoretically result in death or severe injury if present in certain conditions at unacceptable limits, and are, thus, heavily regulated. Resulting paperwork is presented in an official format and is taken to settlement. In cases of certain types of operations, such as day cares, restaurants, churches and the like, test results are filed by the collector or collector's company and/or agent, with the appropriate governing state body. If test results are in the failure range, remediation is required to proceed with the real estate transaction, as well as remediation to provide safe drinking water where transient populations exist, as mentioned above, and to satisfy the location's compliance requirements for their corresponding governing agencies. Requirements for water testing may vary by region. CERTIFIED TESTING FOR THESE TYPES OF TRANSACTIONS IS OFFERED IN PARTS OF MARYLAND AND VIRGINIA ONLY. EMAIL US TO SET UP AN APPOINTMENT FOR THIS SERVICE. FHA AND VA LOANS typically dictate specific testing requirements be met to satisfy lending/underwriting requirements. These requirements may be set forth by local jurisdictions, and most often include bacteria, pH, lead, nitrate, nitrite and turbidity. In some counties, radium, sand, or other county/jurisdictional items may also be required. Check with your local county office or email us for information in Maryland and Virginia counties. Our water specialists can provide options and guide you through remediation processes in an efficient and timely manner. Understanding water quality is a top concern for many people. Whether it’s water used for drinking, bathing, laundry and household use, or even swimming, you want to know whether there are potentially harmful constituents in your water that may affect your health and/or home. 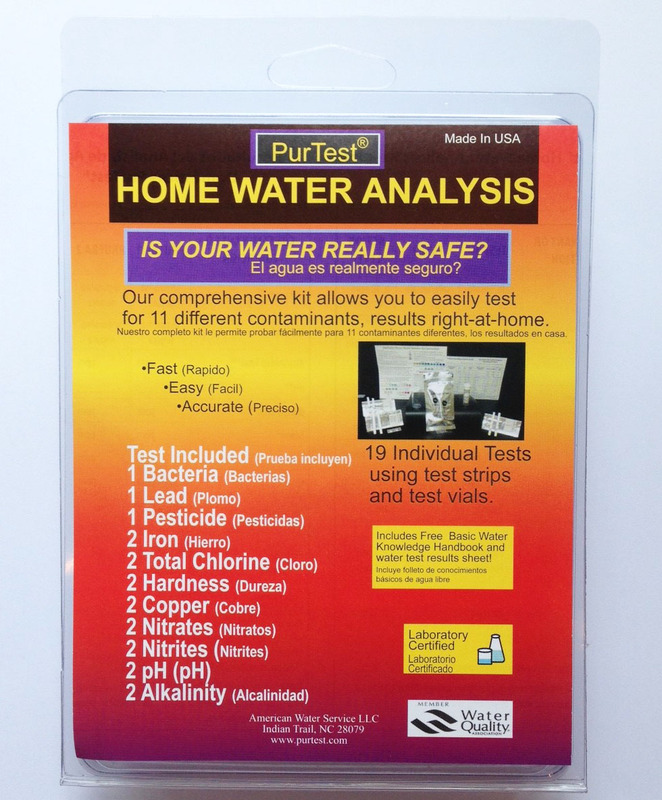 In home tests are very popular for personal knowledge, particularly when on well or private water supply. Our testing kits provide the mechanism for the homeowner to collect their own samples by following detailed instructions, yet still providing accurate results. 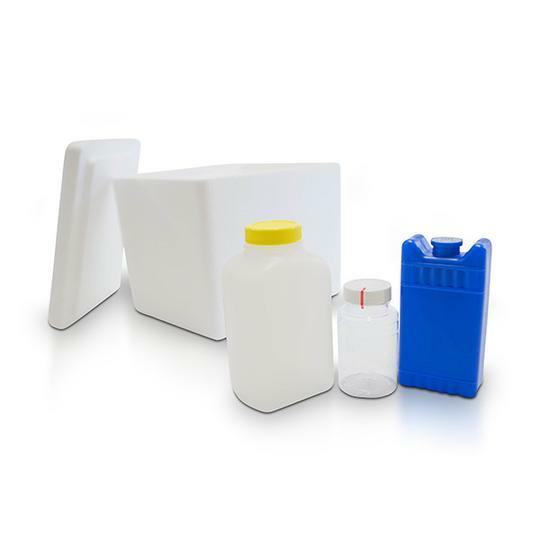 Check our testing product selections to see what is the best fit for your concern and determine the type of testing to conduct. Please e-mail us with your concern and we will be happy to guide you if you still have questions. Instructions are provided with each test kit. 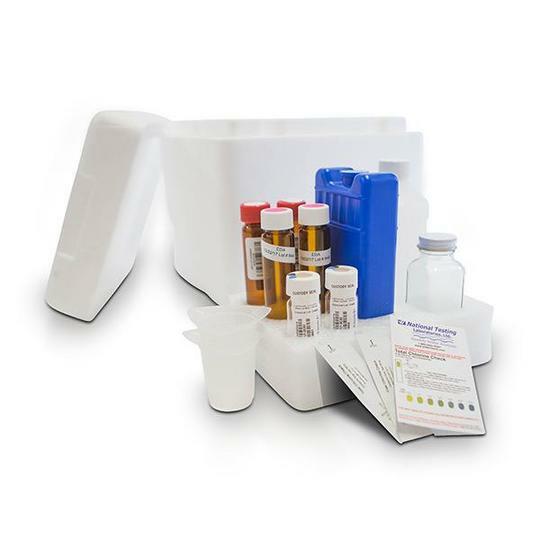 This comprehensive test kit provides fast and easy to read results at your fingertips. 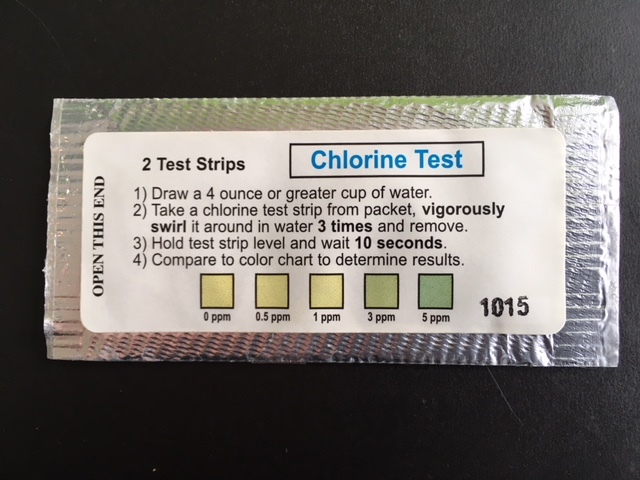 The additional test strip included for some items below, can be useful for testing multiple water sources or follow up testing. Private well water is an unmonitored supply of water that comes from the ground and is then typically pumped to the house or building. There are many concerns that could be present in such a scenario, including health concerns, but also, factors that may adversely affect the house itself, such as plumbing, fixtures, and even laundry. This test kit will provide basic laboratory results which are easy to read and very informative. Our water experts are also standing by to assist with the interpretation process. 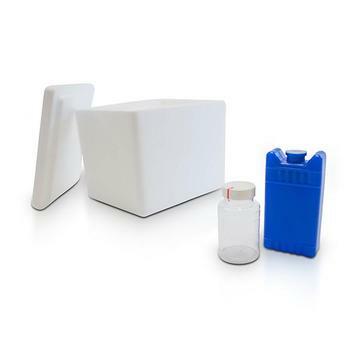 Great for testing untreated well water to determine need for treatment measures and treated after equipment to determine equipment performance, fish tanks, or just general knowledge. NOTE: Well water treated by a mineral tank for low pH, should test in the high 8's after treatment at beginning of service run. At end of service run, water should test over 7.0 when time to service again. 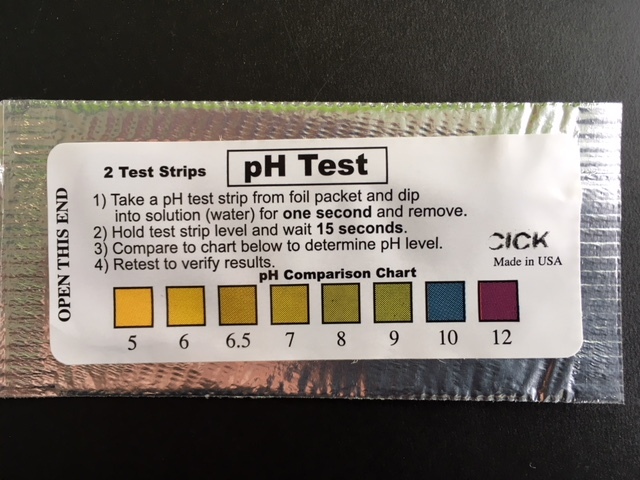 When inducing pH correction as with a mineral tank, the water will test different first thing in the morning (after sitting in the media tank with lots of contact), then it will at a different time of day. It will also test different under high flow scenarios. FOR BEST RESULTS, test in the evening with 3-4 COLD WATER faucets running for 10 minutes. Use a TDS tester to determine the performance of a Reverse Osmosis (RO) system by comparing the tap water to the RO water. This difference can than be converted into a percentage to know if it's time to change the RO membrane. Also use for general knowledge to find out how many dissolved substances are in the water (that carry an electrical current.) This will not include any consituents that do not carry a charge such as chlorine or volatile and synthetic organic compounds. Recommended when air levels test high to determine levels in the water. Radon is a radioactive carcinogenic constituent resulting from the breakdown of Uranium and other resulting items, naturally ocurring in the ground. This is a test for the presence or absence of Coliform and E. Coli Bacteria. The presence of Coliform could indicate the presence of other infectous disease causing organisms, including E. Coli, which is a known pathogen caused by warm blooded animals or human feces. 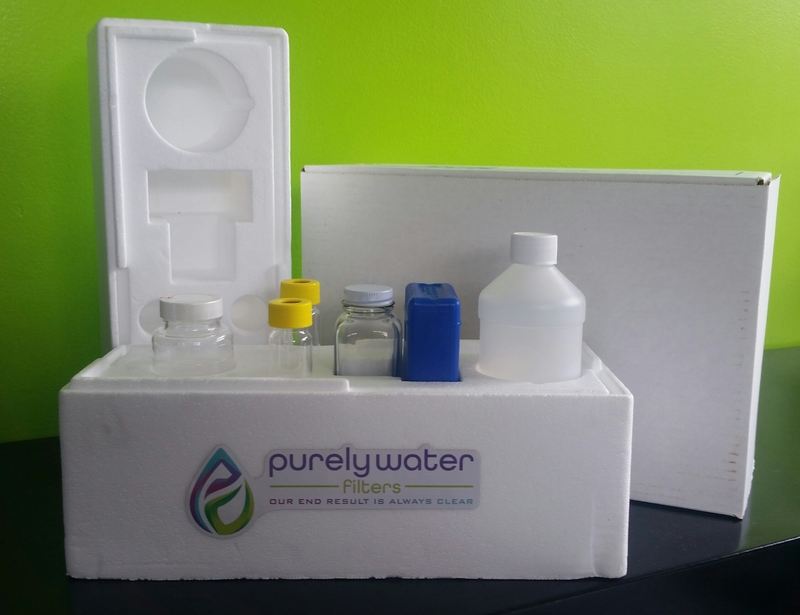 This test is an informational water testing kit designed for people whose drinking water comes from municipal water supplies (city water). 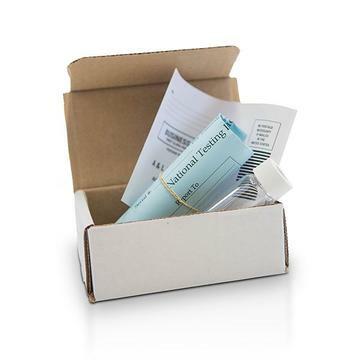 This water testing package tests for the very basic contaminants which are likely to be present in city water. This kit requires 2nd Day return shipping. Good for checking well water after chlorinations, city water when taste & odor is objectionable, swimming pools, fish tanks, or just general knowledge. FOR BEST RESULTS, test after running cold faucet for 10 minutes. Note: For reference, most city water homes contain about .2 - 3 ppm of chlorine depending on the feed and their location from the plant.